Fall is nice. You get football, which I don’t care so much about, and you get layering, which I am kind of looking forward to, and boots. 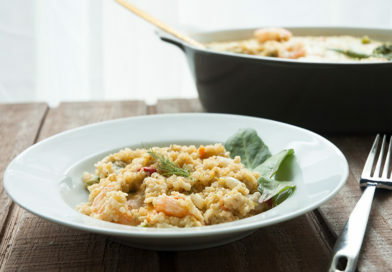 You get early twilights attended by fewer mosquitos, and you get pumpkin spice and cinnamon, comforting dinners roasting in the oven, and weekend-long chili cookoffs. So forgive me for digging my heels in, but we have amassed no fewer than three amazing watersport adventure weekends that remain unscheduled, due to weather, birthdays, and other commitments. We have a kayak trip. We have a whitewater rafting adventure. And we have rocket pants. We need just a little more summer this year. I want to row and splash in the rivers and lakes of Tennessee and north Georgia and I don’t want to freeze my contacts off doing it. But in the spirit of making the best of things, here’s a quick look back at past autumns, to help us all look forward to new and hearth-worthy projects for the upcoming chill. But you can’t make me put my flip flops away. Not yet. 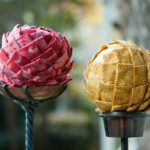 Instant Artichokes are easy to make out of fabric scraps pinned to a ball. 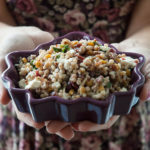 Emergency Harvest Grains in case you’re ever in urgent need of a quick side dish. 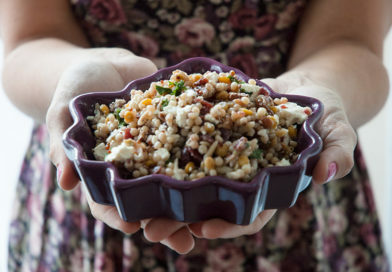 Simple but elegant, this autumn salad is thrown together with minimal preparation. 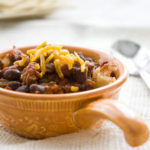 A Little Chili is my go-to, starring roasted poblanos and whatever meats ‘n beans you care to toss in. 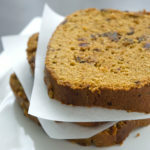 Pumpkin date bread with chocolate chips…in the bread machine! So moist and amazing. 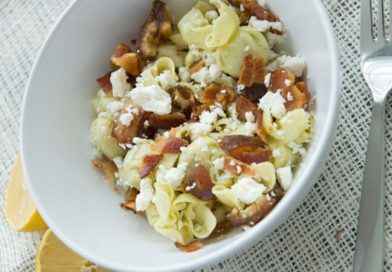 I want some right now. 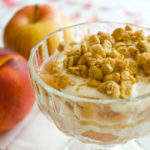 Summer Meets Fall: Apple-Nectarine Parfaits with Maple Yogurt uses five ingredients. That’s it. Well, seven if you count lemon juice and a spoonful of sugar, but I think you’re being pedantic. It’s basically five. 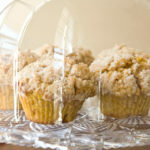 Pumpkin muffins with that crumbly stuff like we like is the perfect way to use up leftover ingredients. So many fall recipes leave me holding half a can of pureed pumpkin, which is perfect. 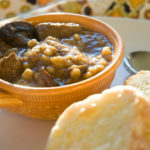 Barley alive is a bit of an overshare, but it includes a wonderful recipe for Beef and Barley Stew. 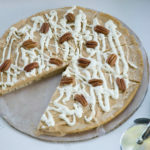 Pumpkin Ice Cream Pizza Pie will make a life with ice cream pizza replace whatever regular humdrum life you’ve been living. 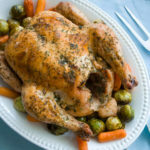 Roasting a chicken is crucial for the cooler months. 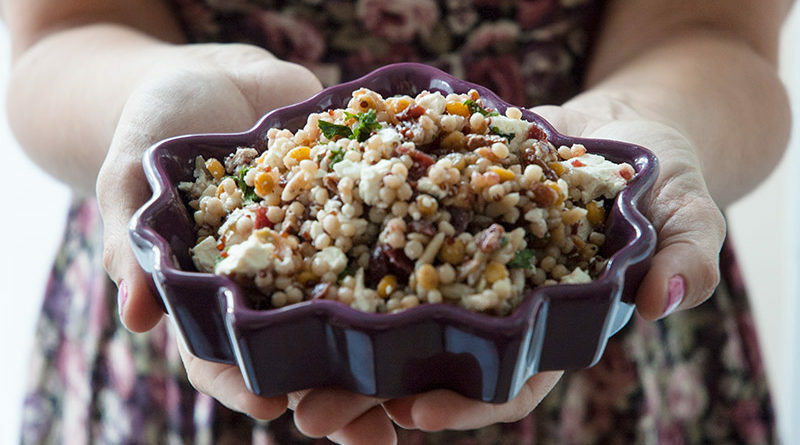 Roast one on Sunday and enjoy beautiful leftovers for the first half of the week to come. 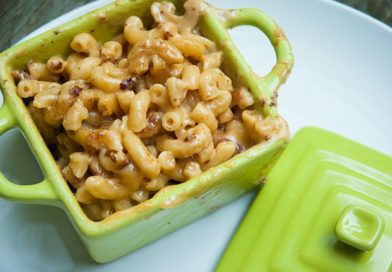 Since we’re all in this together, what recipes and projects are you looking forward to this fall? Proud old stand-bys? Newly-obsessed-over Pinterest photos? Please share in the comments below!